Finally here is the deck that many were waiting for: the Aureas by Hyde! Limited Edition decks: only 3000 decks produced! "Here we are! Right now I'm really excited as the AUREAS, my first deck of cards, are finally available. The deck I created and produced, and that was designed by Annalisa Storari and Kiran. I've been working on this deck for over a year and I'm so excited to be able to finally show it. 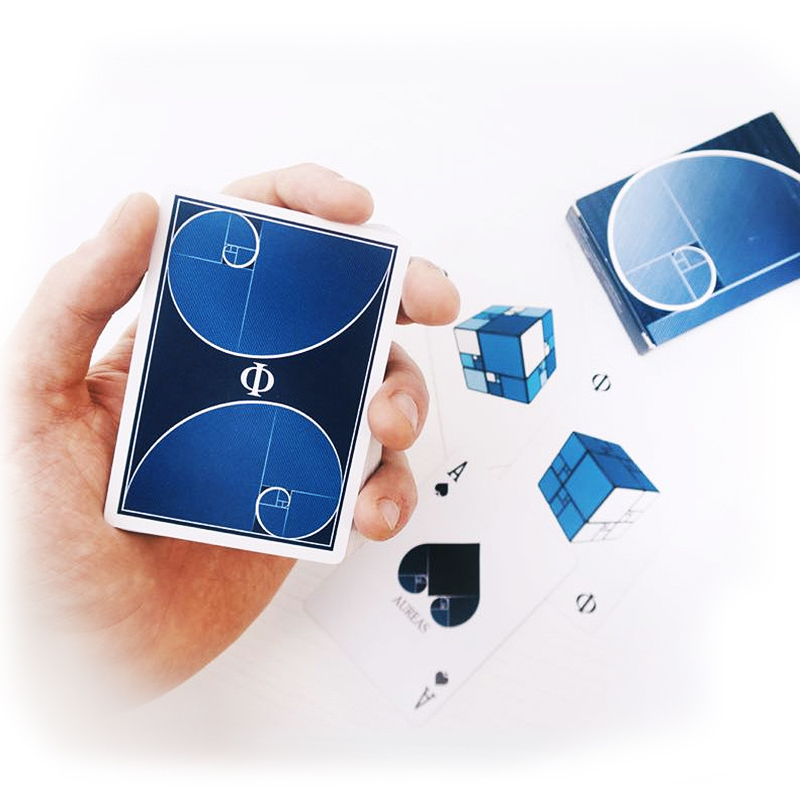 I wanted to create something different from the usual, as you know my mathematical vein always shows in the things I do, so I decided to create a deck that was based on what, since the time of the Greeks, is the union between mathematics and art. Obviously as you have seen I wanted to put a personal touch on it, so in addition to using math I used the golden proportions to create special Rubik cubes, the Jokers, which can also be used for magic effects. Inside the deck there are also many details to discover, such as the use of "phi" or the golden number or the fact that the suits of the deck are not exactly standard but specially modified to respect the golden proportions, in short so many subtleties that make a personal and unique deck. That said I want to thank you for everything, this for me is a very important goal and seeing all the support you are giving me is beautiful. Thanks guys, really! "- Hyde • The cards are poker size.